It’s no secret that gas prices seem to rise in the summer. It’s like the oil companies know that we drive a lot more in the summer. If you have recently filled your gas tank, you probably suffered a little shock by the cost. It is going to hit your bank account pretty hard as you have plenty of places you need to drive to this summer. You could cancel that road trip you have planned or opt for a stay-cation instead of driving somewhere for your vacation, but that really isn’t a whole lot of fun. With no estimate as to when gas prices will level off, you need to be smarter about how you save on fuel costs. 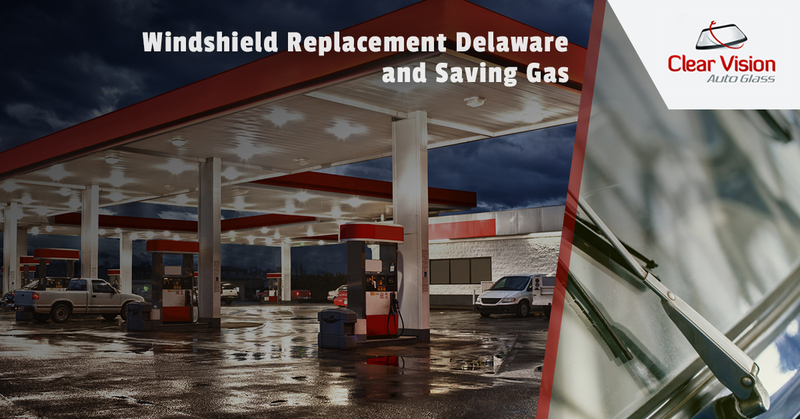 Clear Vision Auto Glass, your windshield replacement service in Delaware, offers these gas saving tips that will help keep your bank account intact. This is pretty obvious; if you drive less, you don’t have to fill up your gas tank as often. It’s not as hard as you might think. You can combine errands to avoid repeat trips around town and you could consider walking or biking for errands that are nearby. Also, you can do a lot of your shopping from the comfort of your own home on Amazon or other websites. If you know exactly what you need, don’t waste time or gas by driving around trying to find it, just order it and wait for it to come in the mail. Driving fast is fun, but it also increases drag, which increases fuel consumption. You can use gas more efficiently if you stick to the speed limit and avoid accelerating quickly. Driver slower and drive steady and you will get more mileage per tank of gas. If you are picking somebody up and they and they need to finish getting prepared, turn the car off until they are ready. Turning your car off when stuck at a railroad crossing will save gas as well. As a bonus, it helps keep pollutants out of the air. Make sure the air filter in your car is clean. A dirty air filter makes your engine have to work harder and consume excess fuel. Low tire pressure causes poor gas mileage, keep your tires at the recommended pressure. A properly tuned engine is an engine that runs efficiently and gets better mileage. As much as you love the air conditioner in your car, running it turns your car into a gas guzzler. Save gas by keeping it turned off as much as possible. So roll down that window. One way to save gas is by joining a carpool so you don’t have to drive to and from work in your own car every day. You will get better mileage if you clear your trunk of the sandbags and tools you have stored there since winter. Clear Vision Auto Glass offers convenient and affordable auto glass replacement. Give us a call.